It’s a great saying, and it’s not wrong. But it’s important to remember that the saying isn’t “More knowledge is more power.” Especially when it comes to evaluating the success and progress of your software development projects, it’s easy to get bogged down in tons of metrics, reports, and charts. But what if I told you that you could simplify that evaluation process by looking only at essential software development metrics? Let’s look at five practical Agile metrics you could use to steer your software teams to success even if you looked at no other metrics. These software development metrics are aligned with the Agile Manifesto, which focuses on individuals and interactions, working software, customer collaboration, and responding to change. Let’s explore what would happen if you chose a place to start, kept the software development metrics lightweight, and empowered your teams with more time to create valuable software instead of producing endless reports. 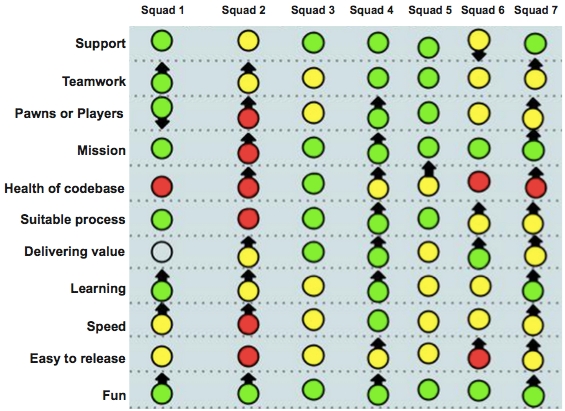 If you were stranded on a desert island and could only bring one Agile software development metric, it should absolutely be the Net Promoter Score (NPS). NPS asks one simple question: “How likely is it you would recommend us to a friend?” The customer responds by selecting on an eleven-point scale, ranging from “Not at All Likely” (0) to “Extremely Likely” (10). To calculate your overall score, just subtract the percent of detractors (negative red responses) from your percent of promoters (positive yellow responses). An NPS is an integer (not a percentage), so, for example, 60% would be an NPS of 60. 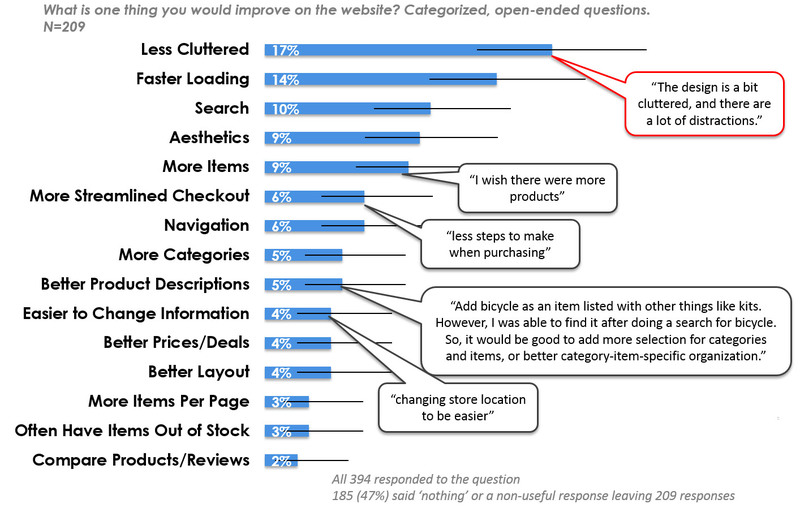 Other than knowing the number (and either feeling bad or good about that figure), how can we as software leaders leverage NPS? Simple: verbatim analysis. Verbatim analysis means taking open-ended comments and categorizing them into themes. MeasuringU has a great example of how to summarize verbatims without losing the rich detail of the user’s own words. Don’t be afraid to measure your NPS. Don’t be afraid to share it, at least internally. And don’t be afraid to make the changes necessary to respond to it. Why did your organization begin its Agile journey in the first place? Thankfully, measuring time to market (TTM) is relatively easy to do on your own or with the help of your Agile project management tool. 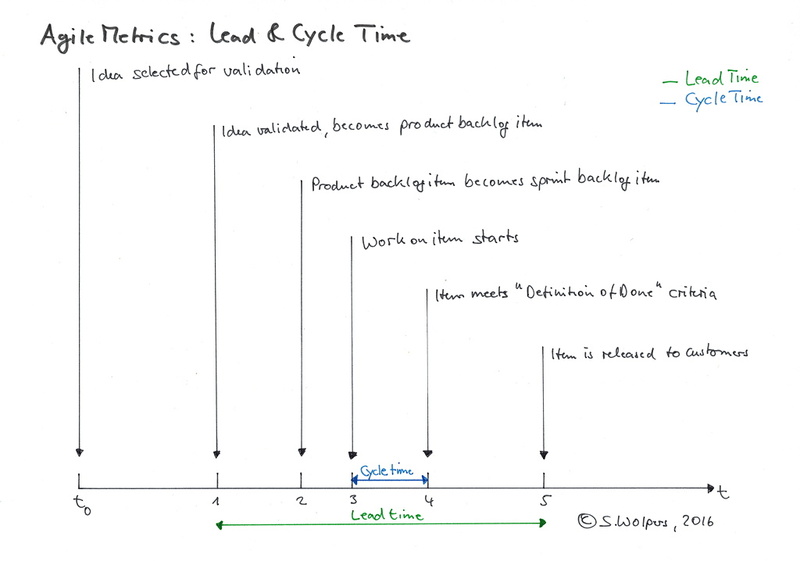 Below, Stefan Wolpers offers a useful visual of the dates you need to record in order to measure your time-to-market via cycle time and lead time. Changing behavior in response to knowing you’re being observed is incredibly human. As an Agile team leader, the last thing you want is for your teams to consciously or unconsciously take shortcuts on testing or security measures in order to meet an arbitrary time to market goal. Fundamentally, what matters most is your organization’s starting point and your subsequent improvements along the way. You can use your teams’ time to market metric to see, at the highest level, how quickly your organization can turn an idea into reality. This whole “being successful in business” thing is a marathon, not a sprint—or maybe in Agile terms, we should say it’s a marathon made up of many sprints—which is why we list the team’s overall well-being as our #3 practical software development metric. Old school command-and-control executives sometimes scoff at this metric. Fortunately, research proves that happy workers are more productive, make better decisions, and are more collaborative, creative and loyal. The debate on what to call it— whether it’s happiness, team morale, or something else—rages on. Whatever nomenclature you choose, start with a lightweight approach that feels right for the culture of your organization. Then inspect, adapt, and repeat. If your organization is the type that can comfortably discuss individual and team emotions without a lot of eye-rolling, go for it. There are several ways to create mood boards broken down by teams and sprints, and it’s an excellent way to get the conversation going and spark change where necessary. If your team prefers a slightly less touchy-feely measure, Spotify has written extensively about its Squad Health Check which uses two scales. Individuals color code their moods with green, yellow or red circles and, using arrows, rate whether things are getting better, worse, or remaining the same. In many organizations, as soon as a feature is committed to, those details are flowing both inside and outside the organization—whether you like it or not. Sales, marketing, customer support, and executives all have a hand in letting the cat out of the bag. Whether feature details and dates are communicated purposefully to your customers, or whether they’re leaked out of the organization by an overenthusiastic sales engineer, they represent your commitments to the customer—features or fixes you have promised to deliver in a specified period of time. That’s why on-time delivery via sprint burndown is our fourth practical software development metric. The burndown provides a forecast of when you can expect all the work to be completed, and it shows velocity—an average amount of work done by a team over a given period of time. 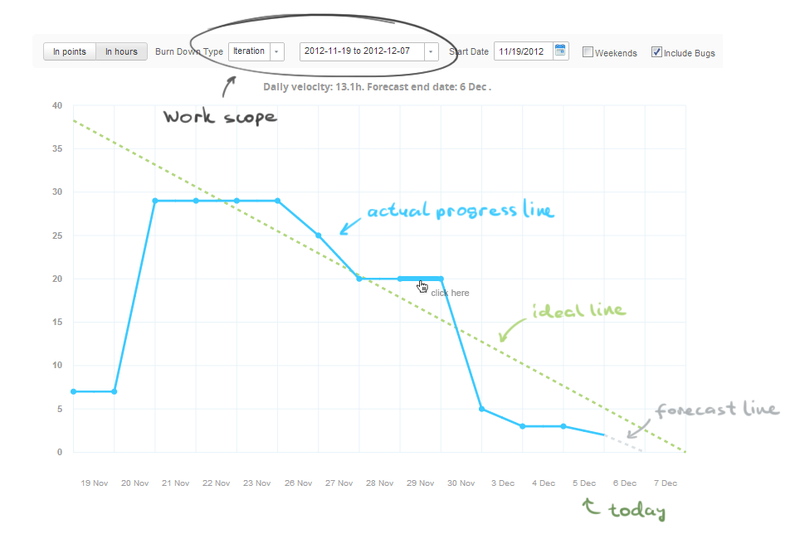 You can also look at the burndown chart to fix scope creep and add or remove tasks from the backlog. Measuring software quality can be tricky. Some teams opt to measure quality only through ‘soft’ metrics, like customer satisfaction and revenue growth. There’s no doubt that those are invaluable, but we run software teams. And so do you. Therefore, we prefer to measure software quality according to the very literal number of defects that escape into production. 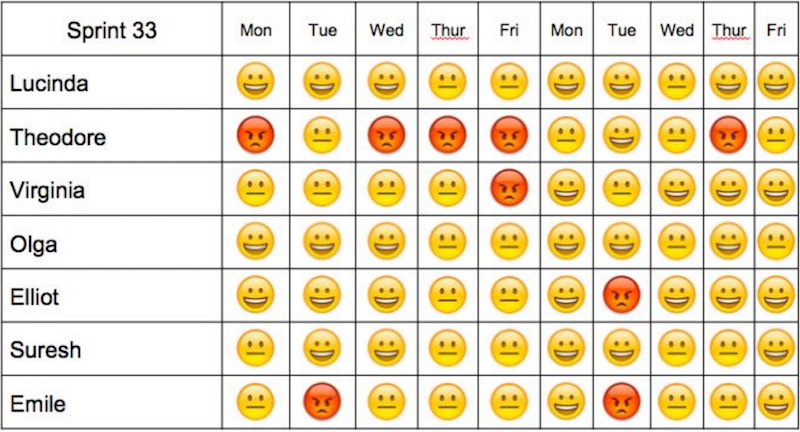 This gives us some control over what we, as software teams, can directly impact. The defect trends report calculates the total number of bugs that have been opened and closed over time. It’s crucial for understanding the overall trend at which bugs are processed and helps gauge whether bug discovery and resolution rates are declining toward the end of an iteration, as expected. If you feel that your defect trends report doesn’t give you the whole picture, it’s easy to combine defect trends with defect severity to get a more informed view. Could you simplify your existence and spend more time delivering value to your customers and less time running a myriad of reports? I think you could. Starting with the five software development metrics above, you can do just that. And if you’d like to try out a tool that can give a head start on tracking and visualizing many of these measures, check out a free trial of Targetprocess. Although we think we’ve done a pretty good job of covering the essential software development metrics, we’d love to hear which Agile metrics you can’t do your job without. Let us know in the comments below! Want to know more about tracking software development projects? Find out how to crank up speed in software development. Take a look at productivity metrics for your software development team. Looking to take Agile outside of IT? Start with these tips.